In Real Estate, Accuracy Matters More Than Location – NRVLiving – Real Estate. Simplified. 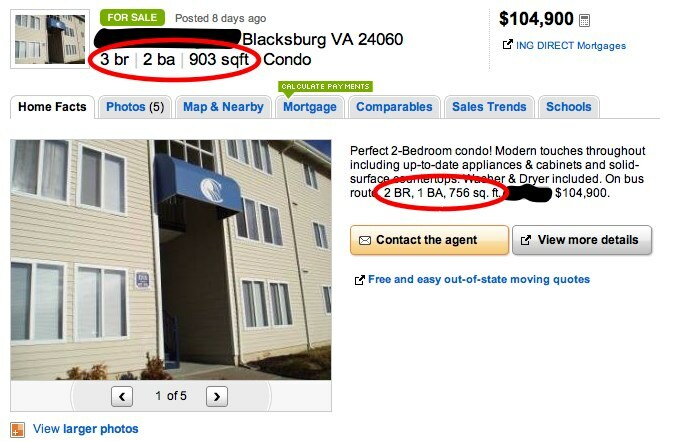 I received an email from a client this morning asking about a Blacksburg condo that they had found on Trulia.com. At the price point, with three bedrooms and two baths, it was a great deal. But it was too good to true. The ad, shown below, shows a 903 square foot condo with three bedrooms and two baths, while the MLS listing shows a 756 square foot condo with two bedrooms and one bath. Needless to say, they were disappointed that the property wasn’t as it seemed. See some differences? In real estate, the mantra “Location, Location, Location” is repeated over and over, but perhaps accuracy is even more important. Sellers – take the time to review your agent’s ads. And to prove me wrong, in the time it’s taken to write this post the property has been changed to pending. My original thought still stands, however – accuracy may be the most important property characteristic of all. 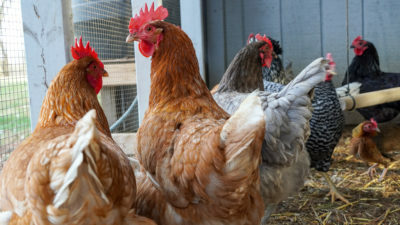 Blacksburg Chickens: What’s the (s)COOP? It wasn't an indictment of any one person, RachelAJ, just making the point that oversight by the industry and the client is important in making sure a clear depiction of each property is given. Thanks for pointing out the typo/error, Jeremy. Even our marketing coordinator, a human, is subject to an error every once in awhile, especially when creating a batch of advertising packages for the same condo development. You're right, I should have combed over each of the nine advertising packages for each listing to be sure that there were no errors. As a professional courtesy, I'd sure appreciate it if you could give me a call to let me know of any future errors in advertising before making a public display of it. Thanks in advance for your consideration. It was good to see you on Saturday. I know this agent fairly well and I'm certain it's not, but it's an awfully poor reflection of truth in advertising. We need to raise the bar – myself included. Yes, indeed! This stuff is SO frustrating. Thanks for pointing it out and living above the bar! You must have missed that sales seminar… the afternoon session had a chapter titled “Bait and Switch Strategies for 2010”. Amen. 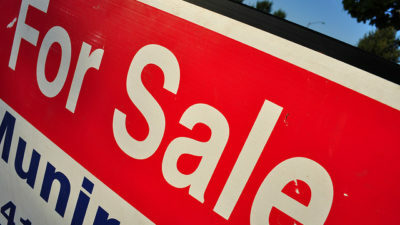 Sellers need to start taking accountability for what they allow their representatives to put out there on their behalf. Inaccurate information is bad for everyone.